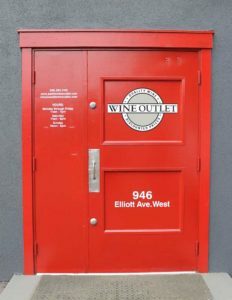 Owner of Wine Outlet on Elliott Ave in Seattle, has been a wine journalist since 1976 and the wine columnist for the Seattle Post-Intelligencer since 1982. He is a features writer for The Wine News, a national wine publication and the author of Seattle Epicure, a book on dining in Seattle and The Art of Wine Tasting, an illustrated guidebook. Additionally, he has hosted his own television and radio programs on wine and is a frequent guest on National Public Radio. Kinssies, an experienced wine educator, is the director of the Seattle Wine School, which he founded in 1981. He created a wine curriculum for the Seattle Central Community College’s Culinary Academy and a wine professional certification program for the Washington Wine Commission. He has also been retained by the French government to educate the local wine trade on the wines of France. led extensively to all the major wine regions of the world and is frequently a judge at national and international competitions.